that enjoy purchasing items that have my artwork on them I feel this has become a necessary action. I do some small amount of licensing of my artwork for products through websites such as Zazzle, RedBubble, and Cafepress. They offer quality products and excellent customer service. I have purchased myself from all three places, dealt with the customer service, and am happy to have my work available to be made for their products. The small amount of royalties from the sales help me to support my family and continue my trade or creating art. However, there has been a recent string of sellers, mainly overseas companies, that have been taking my artwork and placing them on cheap, poor quality items on Amazon. 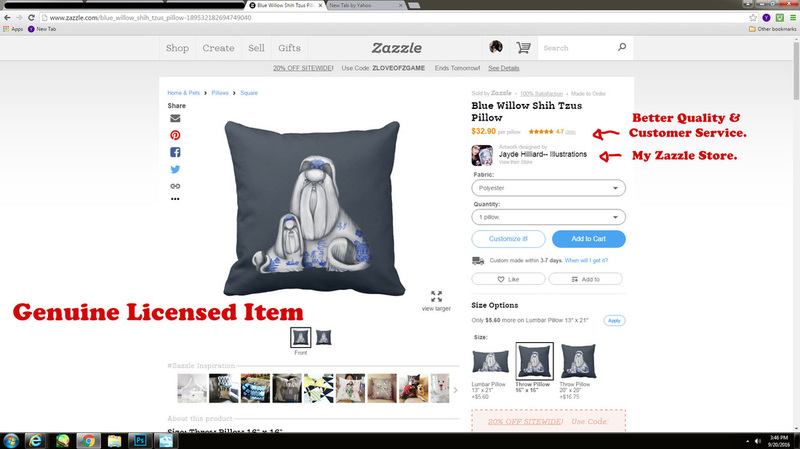 Often they just steal the product images directly from Zazzle or one of the above stores. While it may be a less expensive item than those found on the sites listed above, the items received are of poor craftsmanship and quality. Some have said there is absolutely zero customer service. Also, what they are doing is illegal, and I do not see a dime from the illegal use of my intellectual properties. The only person that wins is the person who is illegally producing products with my images and selling them. This is a legitimate item from my Zazzle shop. You can see my shop name, the reviews, my picture. Now here is an identical item listed on Amazon. Notice they are using Zazzle's product photo. See how the reviews are terrible? Zazzle, Redbubble, and Cafepress do NOT sell on Amazon, and neither do I. This is an illegal bootleg. I do my best to send notices to have these products removed. Amazon usually removes them quickly, but another seller pops up within days. It's a time consuming struggle. 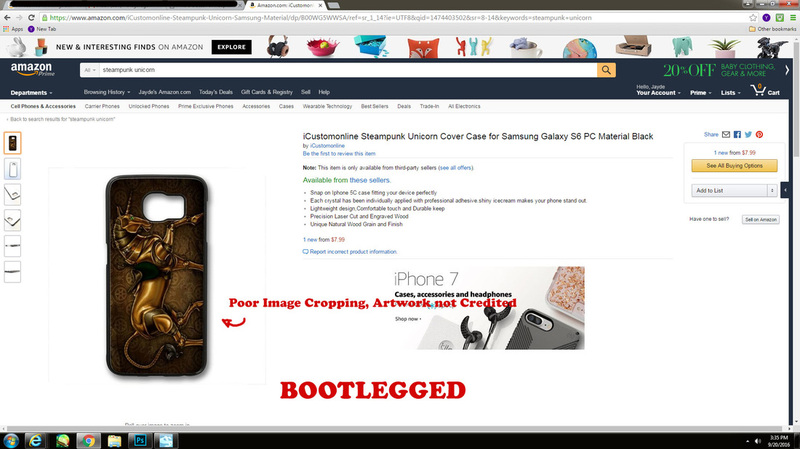 Here is an example of another bootlegged item The cropping is poor, and of course my name is not listed anywhere. The above items are not the only images of mine that are being produced and sold illegally. 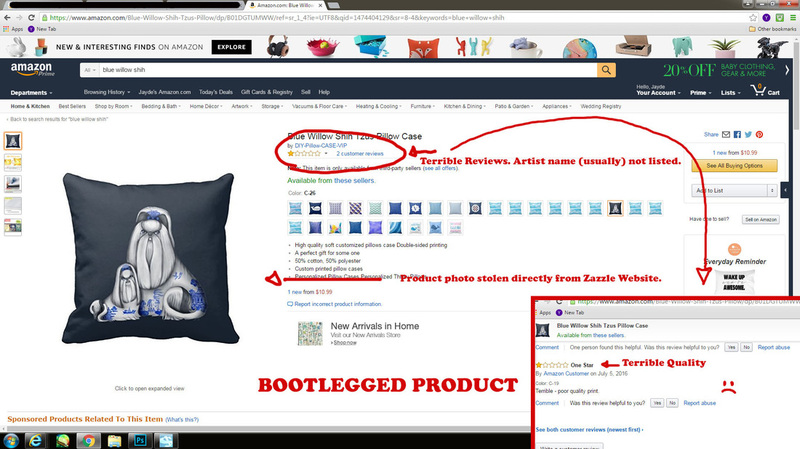 If you see an item on Amazon with my work on it, it is most likely a bootleg. If you aren't sure, feel free to contact me: jayde@jaydehilliard.com to verify.